If you haven’t hopped onto the social selling train, then you’re a little late to the party. Social sales are all the rage right now, and many small businesses have been getting more leads, both organic and B2B, than ever before using more engaging and one-one-one sales techniques. One reason you may not have gotten onto this bandwagon is that you aren’t fully aware of what it is OR you’re plagued with many misconceptions of what digital social sales are. For many older-generation business owners, they know social selling as cold calling or going door-to-door – both methods are archaic and extremely hard to make fruitful. You know why – how many business calls have you hung up on, and how many salesmen have you lied to to make them go away? Social sales aren’t like this anymore. Social selling is all about customer engagement, and one of the biggest ways to do this is via social media. Social media is the best way to communicate and interact directly with customers and other business professionals, which is why it’s the best vehicle for social sales lead generation. Social sales aren’t just about making money, either. When you publicly interact and engage with your customers, you show other people that you are a business that is considerate – both of current trends and their customer base. This is extremely important – your online brand image and persona are extremely important in the digital realm. This effectively kills two birds with one stone – possibly even more than two, depending on how successful you are. With a successful social sales strategy, you can generate leads, build relationships and show a more positive image in one fell swoop. While Twitter and Facebook are great for social sales, you should consider throwing some B2B marketing into the mix. 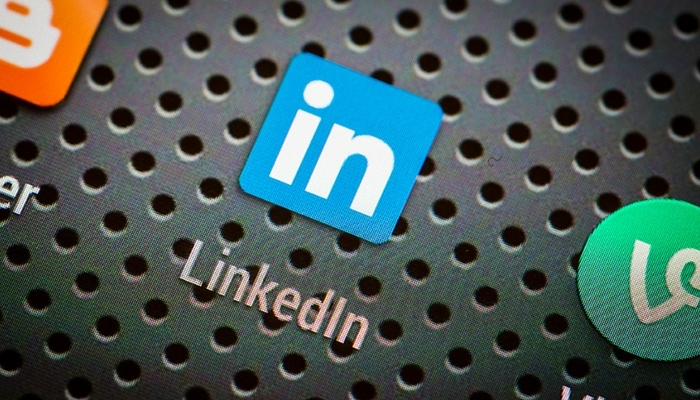 LinkedIn, the premier social media platform for professionals and entrepreneurs, is slowly becoming more and more prominent in world of social sales, and this is great news for you. With almost 400 million members, which is a number that’s constantly climbing, LinkedIn is a great place to start your social sales aspirations. But don’t go in blind. We’re got the five essential tips that can get you through the experience with the best results possible. First, get a great foundation started. Don’t think of your LinkedIn profile as a resume – think of it instead as your online reputation. When you think of it more like a first impression, you’re more likely to give off a better vibe. A resume is something that is very impersonal – it’s a bunch of facts and figures about how great you are, and that in turn is wonderful. But you aren’t just selling your abilities, you’re selling a business experience. The difference is that there are a lot of people out there who can do what you do, and that’s a fact you’re going to have to get used to. What you do have that no one else has is your unique personality. When you insert a personality into your business, you give yourself a solid foundation with which to successfully sell. Find the right people to connect with. Once you’ve set up your profile, it’s time to find the right people to sell to. You can’t just blindly send sales messages to anyone and everyone. The great thing about LinkedIn is that it’s a B2B goldmine, and you can easily search for those who you can connect with as business peers. For instance, if you have a business in email marketing, you can’t expect to connect with someone in the world of IT – you might get a connection, but there’s a pretty big gap in your business ventures. You’re going to be reaching out to people individually, so you have the room to be selective in whom you connect with. Some businesses are better suited for targeting large groups of people, but it largely depends on your business type. Before firing off a message, ask yourself how you can more specifically help or work with the person you’re targeting. When you connect with people on a personal level, you give them the ability to have insider information. This gives them insight into your business that they can’t get anywhere else. Consumers are much more likely to use a business when they’re having a more personal and insightful connection with someone they know is working for a company than when they’re just absorbing information via a website or other source. This is why your engagement messages need to be customized to the person you’re connecting with. If you’re trying to get a sales link from someone in the automotive industry, allude to that in your sales message. Don’t simply send messages and leave it at that. You have to strike a balance – you don’t want to be seen as pushy, but you also can’t be shy, either. Engage more than once, and you’ll find that you’ll be more successful. Never stop measuring your success. The most important part of this entire process is to consistently measure your success. If you don’t have any method for seeing just how successful you are, are you truly successful? Say you do generate a lot of leads, but you don’t have a 100% success rate – why? When you observe your success and failures, you know how to better fine-tune your strategies so you win every time, not just some of the time.